Home insurance costs can be dramatically reduced when high security locks are fitted to doors and windows. A recent survey carried out by money saving expert Martin Lewis showed that insurance premiums can be lowered by up to £50 by simply fitting a new front door lock. Some insurance claims have even known to be rejected if the correct locks are not fitted and used. We examine some of the locks that are available for different areas around your home and you can see some examples of different locks at Locktrader.co.uk who kindly provided insight and images for this blog. This is the door that is used to exit your home when leaving the property unattended and therefore needs to be secured from the outside. A British Standard lock should always be used on this door, for pvcu doors with multi point locking a suitable BS cylinder should be used to lock the door. Wooden front doors often have 2 locks fitted, a mortice deadlock and a night latch style lock. Nightlatch locks are ideal for overnight use, when people are in the property as these can be easily unlocked from the inside to allow exit an in emergency. For maximum security both these locks should conform to current British Standards, read more on the BSI site. Often hidden from view but potentially a popular access point for unauthorised entries. Ensuring your patio doors have adequate security is a great way to decrease insurance premiums. It’s a known fact that most patio doors can be lifted out and restored to position without showing forced entry. Locking anti-lift devices can reduce this risk. Like other pvcu doors, patio doors use a multi-point locking device to secure the door to the frame in multiple places, these are locked and unlocked by a cylinder lock. All cylinders should be compliant with British Standards, they can also be purchased keyed alike, with the same key operating 2 or more cylinders. This can make the home lock-up procedure easier, and reduce the amount of keys you need to carry around. For maximum security, and potential savings on insurance costs, all external doors should be fitted with a British Standard Lock. Doors at the rear or side of homes often lead straight into a kitchen or utility room. These doors frequently contain large panes of glass to allow natural light into the home. When made from wood with a large pane of glass, fitting a security lock to a door can be almost impossible. Smaller locks can be fitted, but these are less secure. 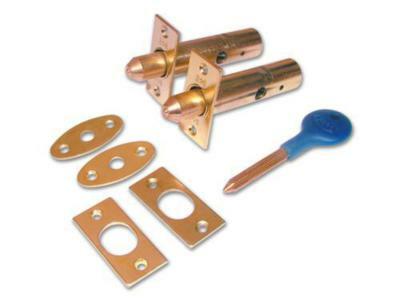 If this door is not the final exit door, extra bolts can be fitted to the top and bottom of the door that are operated from inside only. Mortice door bolts and push-to-lock flush bolts are popular choices for additional door security. As a minimum, all ground floor and accessible windows should have a good quality key operated lock. If possible auto locking window locks should be installed. These will automatically lock when the window is pulled shut, so you don’t have to manually lock each window before going out. Once locked window keys should be hidden from sight, make sure that all occupants know the location of these keys so that an exit can be made in an emergency. Window locks can easily be forgotten about, however it is vitally important to lock all windows when your home is unoccupied, insurance companies have been known not to pay a claim when entry has been made through an unlocked window. Having a professionally fitted home alarm system can not only deter thieves from even looking at your property, but is counted towards good overall home security and may lead to reduced premiums. If you get a reduction in your insurance premium by having an alarm system you must use it, or the insurance company may not pay out if a claim is made. Expensive items that are individually listed on a home insurance policy will naturally bump up the costs; however these extra costs can be reduced by storing them in a safe when not in use. 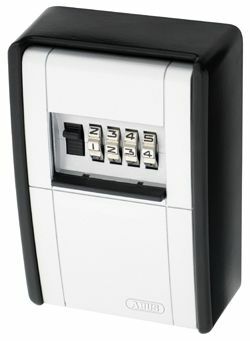 Smaller wall-mounted key safes can also be used to store car keys, to combat the increasing risk of break-ins just to get access to the keys of high value cars and vehicles. Remember to haggle with insurance companies. Research online using comparison sites and insurance companies own sites. Then when you have found the best deals give the chosen company, or companies, a call. 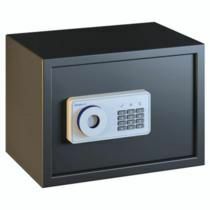 During this conversation explain to the operator about all the home security locks and devices in place, they may be able to offer further discounts from the prices found online. See how to fit a cylinder nightlatch in DIY Doctor’s Projects section and how to fit a mortise lock.